When using the calculators it is very important to understand that the information provided by the calculator is an illustrative example based on stated assumptions and your inputs. Actual results will vary. Using the calculator does not guarantee you will be eligible for a loan and actual fees, charges and taxes may differ depending, for example, on your personal circumstances and the products and services you choose. For these reasons the calculators should not be used as the basis for any financial decisions. 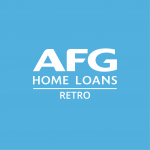 For more information and assistance please speak directly with an AFG mortgage broker. 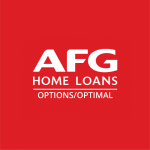 AFG Home Loans is the right choice. We have a range of home loans for you to choose from, with different features to ensure we have the right product and the right solution for you.